Harry Watson enjoyed his qualifying session by following Andy Pearson (his car builder) in his GT1 Camaro. Due to a tire problem in the #74 Camaro Harry pulled out the stops with a 1:12:208 ( Harry's personal best lap time). Short lived at the start of the race Andy Pearson ran a 1:09.745 for a new GT1 CACC lap record and finished 1st with a 21 second margin. 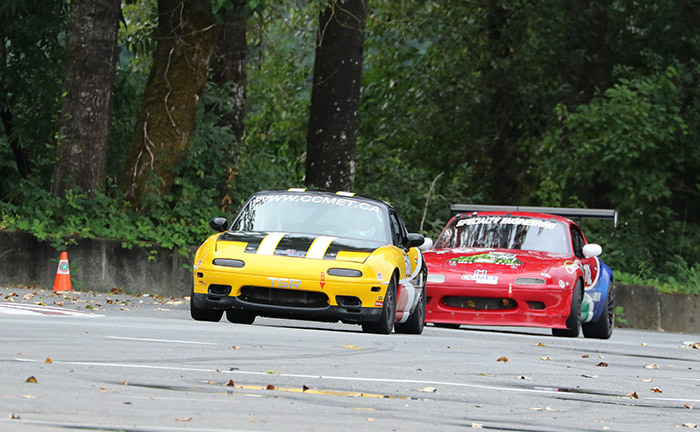 Tracey Pearson raced the Turbo Miata, she started on the pole with a 1:11.935 and finishing 1st in GTM. 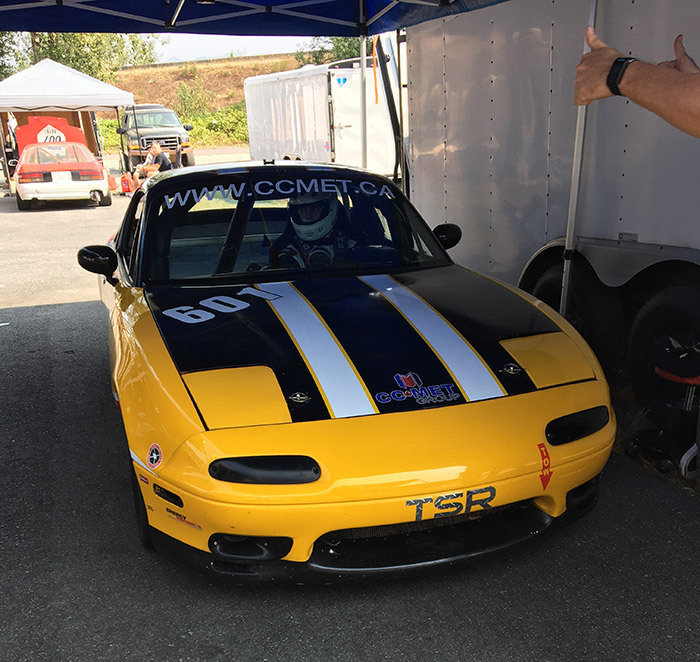 Marc & Seth Varty, father & son team have been running their Metro Testing yellow IP3 Miata. Marc continues to move up the competitive IP3 grid, with a 2nd place finish during 2017. Seth completed his upgrade race to become a senior driver. 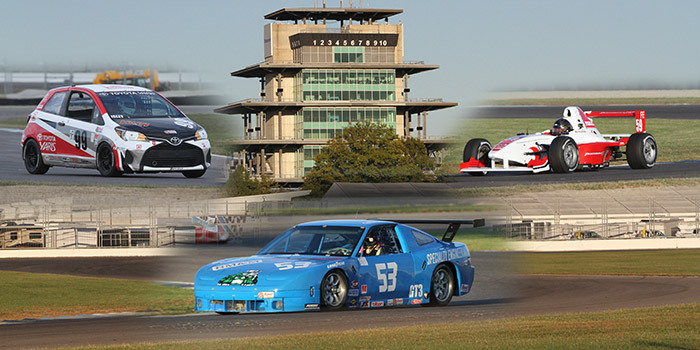 The SCCA Road Racing Super Sweep is the most challenging award a Club racer can achieve. 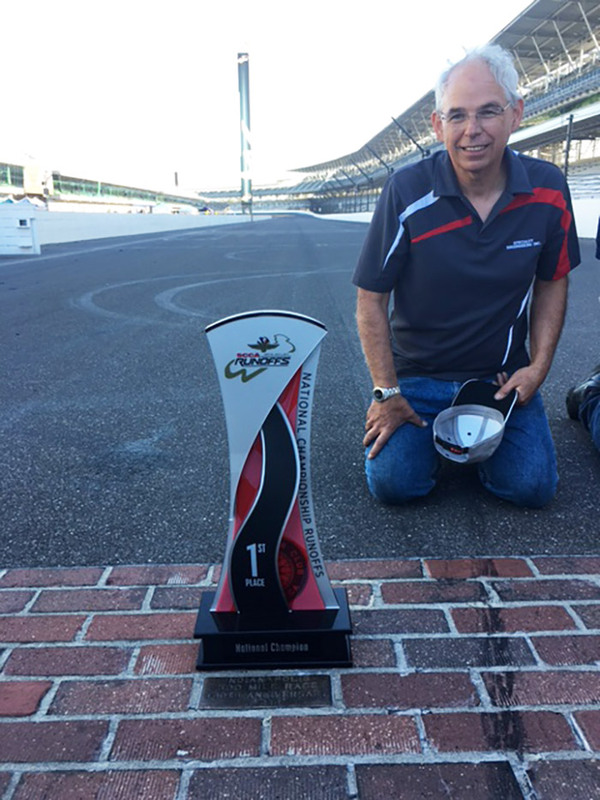 To earn the honor a driver must, in a single class, win a U.S. Majors Tour Conference Championship, win the class Hoosier Super Tour point standings, and win at the National Championship Runoffs. This year, three talented drivers managed to achieve the elusive Super Sweep â€“ the first Super Sweep for each racer. Collin Jackson had a dominant season driving his No. 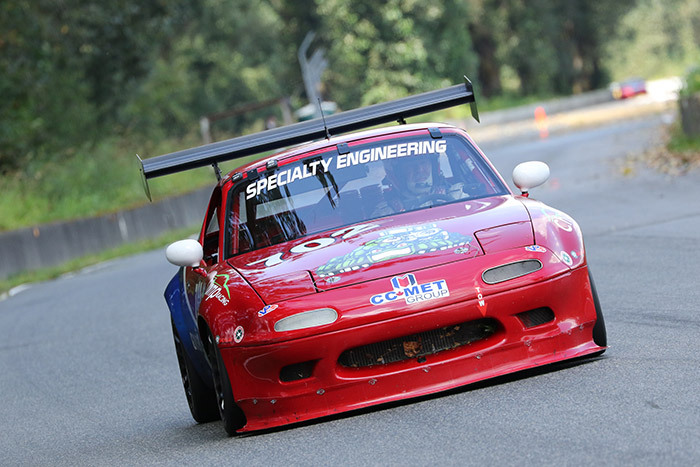 53 Specialty Engineering/BM&M Screen Nissan 240SX in the GT-3 class. He was unbeatable in the U.S. Majors Tour Western Conference Championship with weekend sweeps at Thunderhill Raceway Park, Buttonwillow Raceway Park and Portland International Raceway. 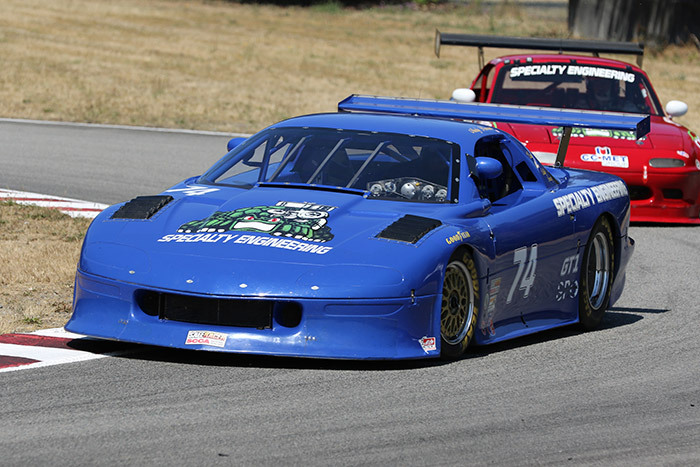 The wins at Buttonwillow and Portland also gave him the Hoosier Super Tour Point Championship in the class. And to top it off, Jackson took the GT-3 Tire Rack Pole Award at Indianapolis and went on to claim victory at the Runoffs, thus earning his Super Sweep accolade.